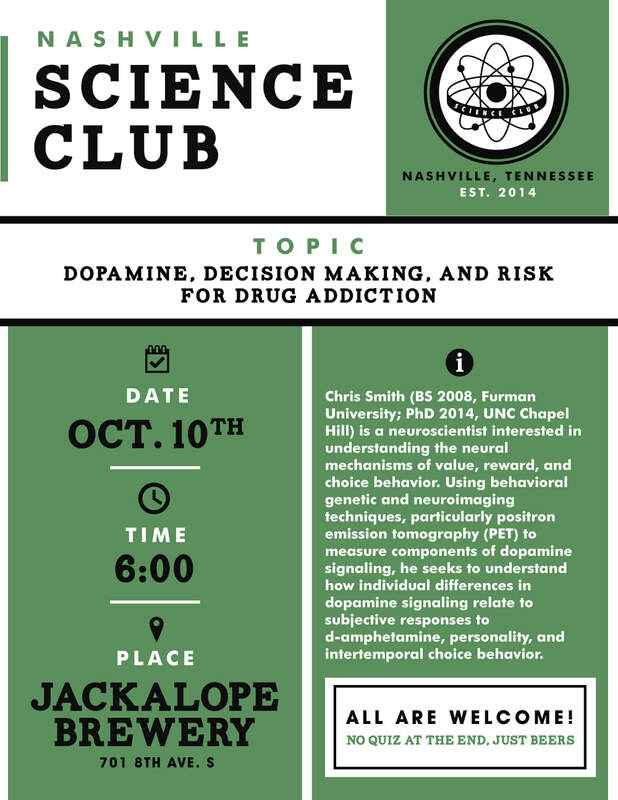 Chris presented an overview of his research at Science Club Nashville on Tuesday, October 10th. Science Club Nashville meets on the 2nd Tuesday of the month at a local brewery and is a forum for people in the community to learn about science. See the link below for his powerpoint, embedded with hyperlinks to the relevant publications. This powerpoint provides a nice overview of my overall research and how I hope it will help inform personalized treatments for modulating the decision making processes that often go awry in drug abuse. Find additional references in my Dissertation. PDFs of published papers can be found on my Past Research Page. Chris presented as part of the 2018 Brain Twitter Conference on March 8th, 2018. The full program can be found here. Check out all the tweets here.